Did you ever wonder what it was like during the Colonial Era or the American Revolution? If so, why not see for yourself in this costume? Introducing the Women's Patriotic Woman Costume. See what life was like, even if it's for one day as you don the outfit for your Fourth of July party, or for any other costume party of the year for that matter. This is also perfect for a play, or maybe even for a historical reenactment of sorts. Just because it looks old fashioned, doesn't mean that it won't be fun. An outfit like that can certainly make quite an impression at the upcoming costume party! 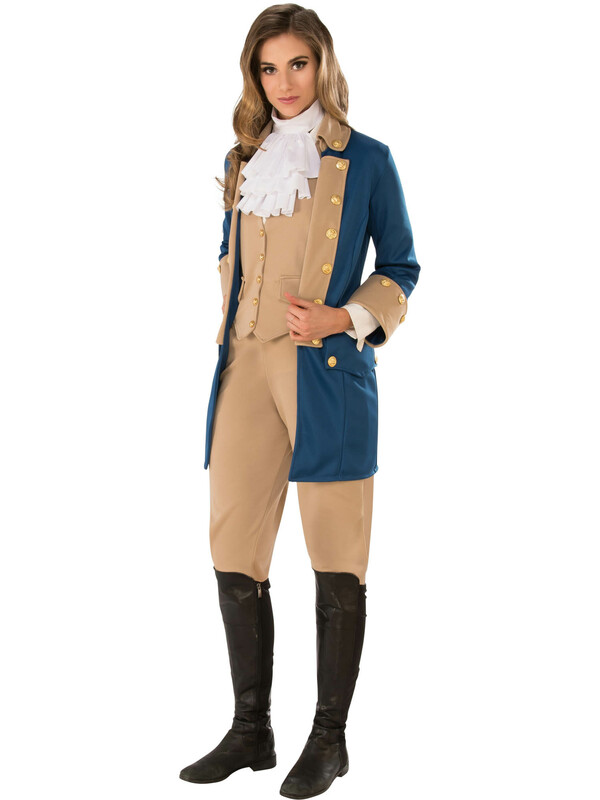 This outfit comes with a jacket, vest, pants, and a jabot.